Lawsuits against Monsanto link Roundup weedkiller to cancer. Contact a Roundup cancer lawyer at Munley Law for a free, confidential consultation. The personal injury lawyers at Munley Law are currently reviewing claims related to the weedkiller Roundup. 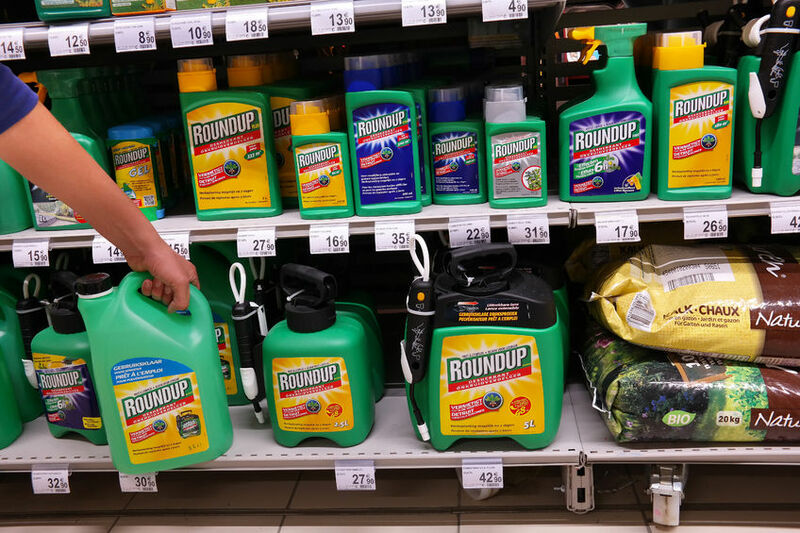 So far, 4,000 people have filed lawsuits against Monsanto, maker of Roundup, claiming that exposure to the weedkiller caused them to develop cancer. Our firm has 60 years of experience of fighting for victims and taking on big companies whose actions endanger innocent people. If you think you may have a claim, contact us for a free, no-obligation consultation. We will hold the manufacturer accountable and help you get the compensation you and your family need. Chat live, fill out our contact form, or call today for a FREE consultation. We do not collect a fee unless we win your case. 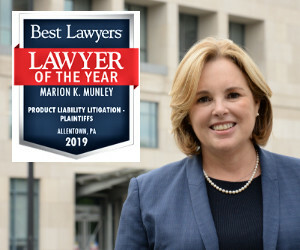 Marion Munley was named Product Liability Lawyer of the Year, 2019, for the Allentown Metro Area by the legal guide Best Lawyers. In August 2018, a jury in the Superior Court of San Francisco ordered Monsanto to pay $289M to man who they say developed non-Hodgkin lymphoma from exposure to Roundup. Dewayne Johnson worked as school groundskeeper and was exposed to large quantities of Roundup for an extended time. He was diagnosed with cancer in 2014, at the age of 42. The verdict included $250 million in punitive damages and $39 million in compensatory damages for Johnson and his family. This victory sends a clear message to Monsanto that the company will be held accountable. They now face thousands more lawsuits. Research suggests that there may be a link between exposure to the ingredients in Roundup and an increased risk of cancer. The primary herbicidal ingredient in Roundup is glyphosate. In March 2015, the World Health Organization’s International Agency for Research on Cancer (IARC) said glyphosate is “probably carcinogenic to humans.” Specifically, glyphosate is said to increase the risk of B-cell or T-cell non-Hodgkin’s Lymphoma, including sub-types such as follicular lymphoma, chronic lymphocytic leukemia, mantle cell lymphoma, diffuse large B-cell lymphoma, and hairy cell leukemia. There is evidence that Monsanto knew about the danger of its product and went to great lengths to cover up the evidence. Court documents including Monsanto’s internal records and correspondence suggest that the company worked with federal regulators at the EPA to manipulate the research and misinform the public about the safety of its product. Monsanto maintains that its product is safe and that glyphosate does not increase one’s chances of cancer. Who is at risk for non-Hodgkin lymphoma caused by Roundup? Those most at risk for developing cancer from Roundup are people who had long-term direct contact with glyphosate as part of their job. This includes farmers, landscapers, gardeners, groundskeepers, and others who work with chemical herbicides. If you or someone in your family developed non-Hodgkin lymphoma from exposure to Roundup, you will need an experienced team of attorneys to fight for you. Product liability cases are complicated, and companies like Monsanto have aggressive lawyers to defend their interests. Munley Law has been handling cases against big companies for decades, and our senior partner Marion Munley has been named “Product Liability Lawyer of the Year” twice by the legal guide Best Lawyers. Let us put our skills and experience to work for you. The thought of filing a lawsuit while battling an illness or caring for a loved one may be daunting. We will do everything in our power to take the burden off of you and get you the justice you deserve. We work with some of the country’s top legal and medical experts to get you the absolute maximum results. From day one, you will have us as your resource. See what our past clients say about their experience with our firm. How much does a cancer lawsuit lawyer cost? Our philosophy is simple: We only get paid if you get paid. At Munley Law, we believe that everyone should have access to justice regardless of income. As our client, you never have to pay anything upfront or out of your own pocket. Instead, we incur all of the costs of preparing your case, and collect a lesser portion of the settlement or verdict to cover our expenses. No settlement, no fee. This way, there is zero risk for you. Call, chat, or fill out our contact form to get in touch with a Roundup cancer lawyer today.